Gluten-free availability in Rome is pretty fantastic, even when it comes to sweets. Many gelato stands offer gluten-free cones and advertise them prominently. Plenty of markets have packaged cookies and snacks, prominently labeled. But what about cannoli? La Cannoleria Siciliana, on the east bank of the Tiber, has you covered. Gluten-free cannoli aren’t displayed in the case with gluten-ful cannoli and other sweets, so be sure to ask for them specifically. The GF version is decked out with a crunchy shell, deliciously rich sweet ricotta, and chocolate chips. 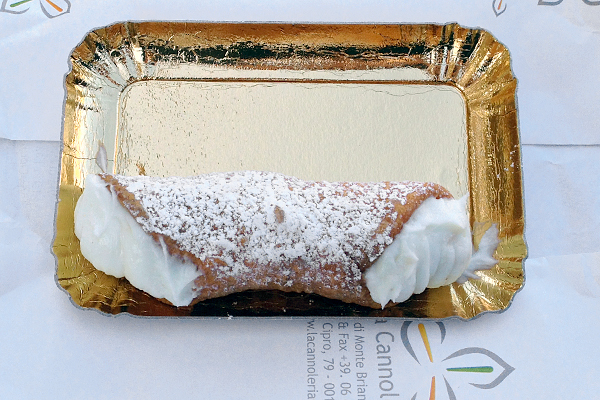 Though La Cannoleria Siciliana has indoor seating, I recommend taking your cannoli to go. 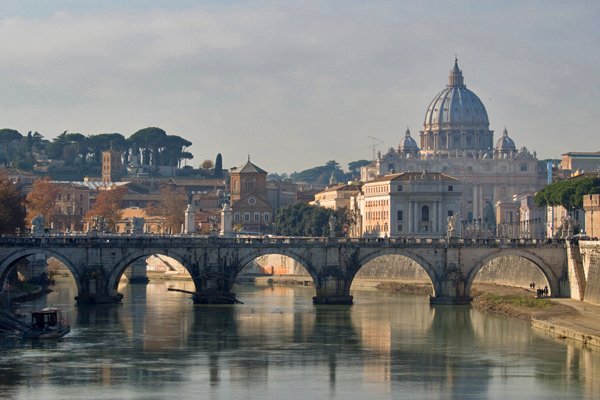 Walk the half block to the Tiber and enjoy the gorgeous view while you indulge! Where? 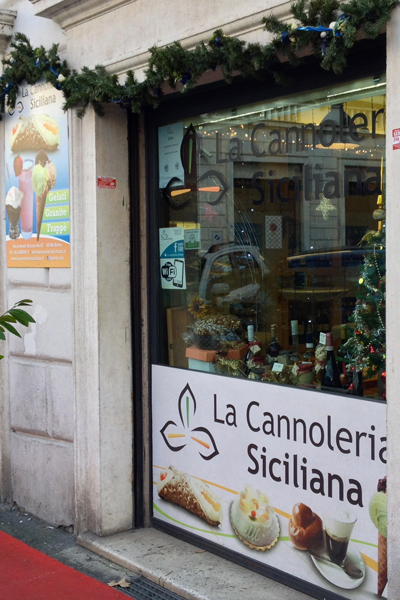 La Cannoleria Siciliana is located in Rome: Via di Monte Brianzo 66-67, Roma (+39-06-6880-6874). Yum! That cannoli looks delcious! It’s great to see that even in a wheat heavy place such as Italy that there are GF offerings!